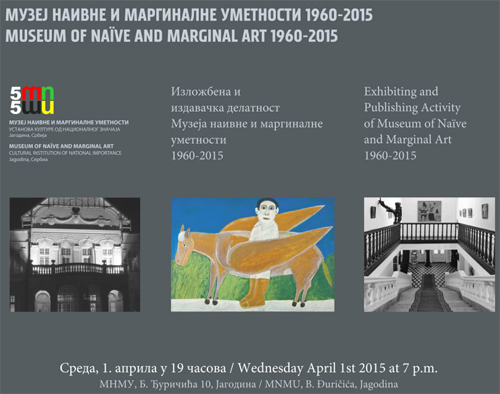 On Wednesday, 1 April 2015, MNMA celebrated its significant jubilee the 55th ANNIVERSARY by organising the exhibition entitled Exhibiting and Publishing Activity of MNMA 1960-2015, whose author is Ivana Jovanović, senior custodian at MNMA. Study exhibition Exhibiting and Publishing Activity of Museum of Naïve and Marginal Art 1960-2015 was organised to mark the fifty-fifth anniversary of work of the Museum, displaying the most significant publications and the selection of documentary material including representative works of the most respectable artists from the Collection of MNMA. Museum of Naïve and Marginal Art as a cultural institution of national importance has a very rich international collection of nearly 3000 works done by 353 artist from twenty-eight countries. The collection is accompanied by extensive systematised documentary material in the domain of naïve and marginal art in wide international context. These two precious treasures, artistic and documentary, provide a significant base for the development of exhibiting and publishing activity as a form of research, information and promoting work, which makes extensive, versatile, most visible and representative segment of Museum activities including other aspects of work, invisible to the audience. The accompanying Catalogue –Monograph includes a study and a review of all exhibitions and editions of MNMA since its foundation, a large number of 675 exhibitions (chamber, solo, retrospective, group, thematic, study and exhibitions of Colonies, Biennials and other events), realised independently or in cooperation with other institutions, as well as rich publishing activity which, in addition to the accompanying catalogues, promoting materials (invitation cars, posters, picture postcards, banners) lists other publications (monographs, collections of works, guidebooks, graphic maps, calendars, colouring books etc.) and electronic editions in the recent period. 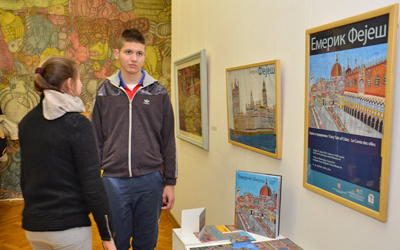 The author of the exhibition is Ivana Jovanović, art historian, senior custodian. Nina Kristić, Director of MNMA and Ivana Jovanović, the author of exhibition gave speeches at opening ceremony. 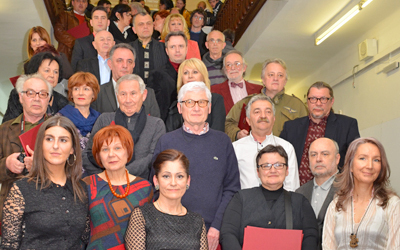 The concert of students of School for Music Talents from Ćuprija and the film on MNMA were the accompanying sections of the ceremony where the institutions and individuals, long-time collaborators of the Museum were awarded Recognitions.